The original Balearic sound as originally crafted and expressed by DJ Alfredo and taken forward by Danny Rampling, Paul Oakenfold and Trevor Fung has held quite a lot of musical interest for me lately. The approach of having a healthy disregard for genre, whilst at the same time not compromising on the creation of a cohesive, layered, ever-building mood appropriate to the (sun drenched) surroundings, is part of an art form which only a handful of legendary jocks over the decades have pulled off. And Mister Alfredo was one of them. 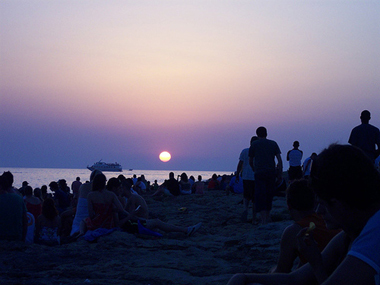 Since that time Ibiza has gone on to construe a lot of good and bad about dance music and club culture. But it’s the early days when Alfredo was doing his thing, and Oakenfold and Rampling were importing the sounds back to the UK which I’ve been digging into a little further lately. So I thought I’d share a couple of favorite jams which are associated with that time and which you may have heard weaved into a set or two over the summer at Mister Saturday Night. If you want to explore more for yourself I’d recommend the Balearic Beats Vol. 1 compilation or Danny Rampling’s Break for Love compilation.